to May each year except for November. and combines with the North Munster Class of Instruction. 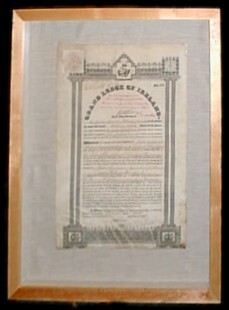 The Warrant of St. Patrick's Lodge 311, Templemore was issued by Grand Lodge on the 7th April 1842 and returned to them in trust in December 1926. It was reissued on the 1st March 1945 and has been in uninterrupted use ever since. This is the original Warrant of Lodge 311 that was restored by the National Library of Ireland in October 2000.